I admittedly don't clean my makeup brushes as often as I should. When I think about it, it should really be a priority since those things are always touching my face. Well, that sounds wrong. Ha! Anyhow, I watched this video from BeautyosaurusLex on YouTube and she spoke about how she cleans her brushes in her June Favorites video. 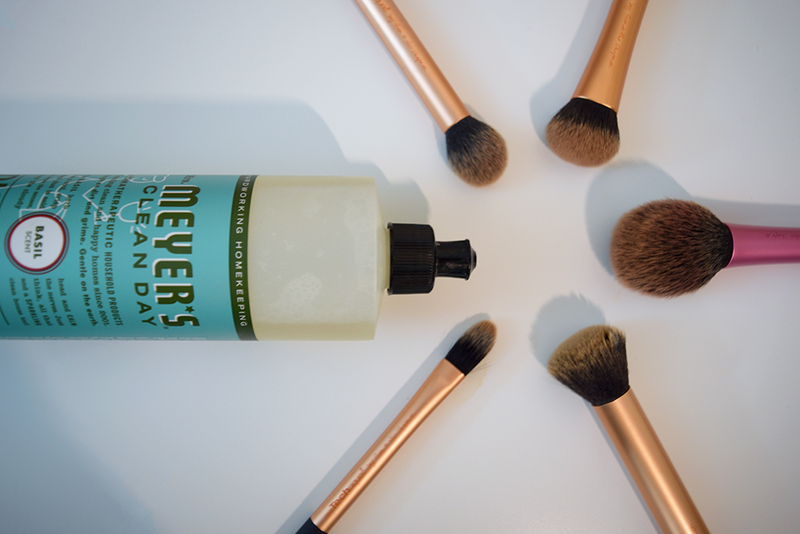 I love favorites videos and I ran out and purchased the exact soap she uses to clean her brushes: Mrs. Meyers Dish Soap in the scent Basil! It smells like spring. Such a fresh scent that I won't get sick of (especially considering the frequency of which I wash my brushes). I don't have any snazzy brush pads or mitts, but I do have these trusty old things called my hands. I put a drop of soap onto my palm and run the brush under warm water for 0.3 seconds, then swirl the brush in the palm of my hand until I see the burnt copper color of old makeup run down the drain. I then proceed to rinse the brush, then put a drop of soap directly on the bristles then massage it in until it lathers nicely. I repeat this until the soap remains a nice white foam as I'm massaging the brush, then rinse until the water runs clear. I shape the brush heads then leave them on a clean hand towel overnight, or until they dry. 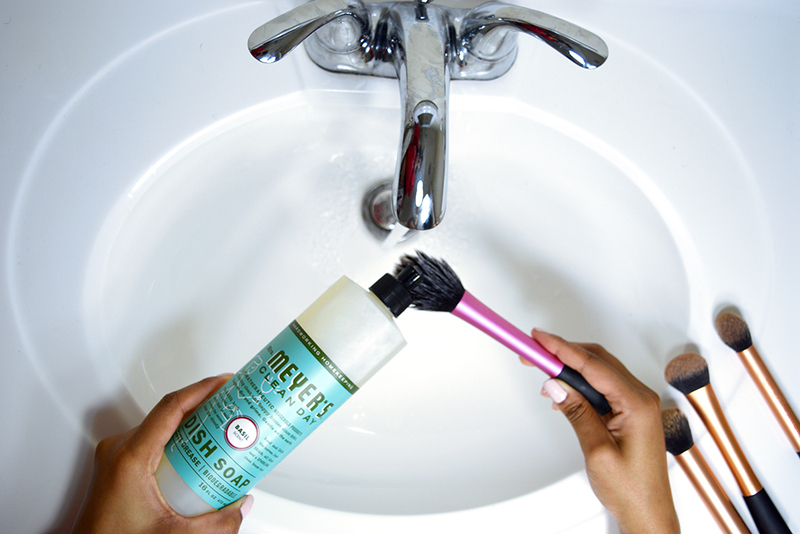 The next day I have fresh-scented brushes that are clean and bacteria-free! Woo! 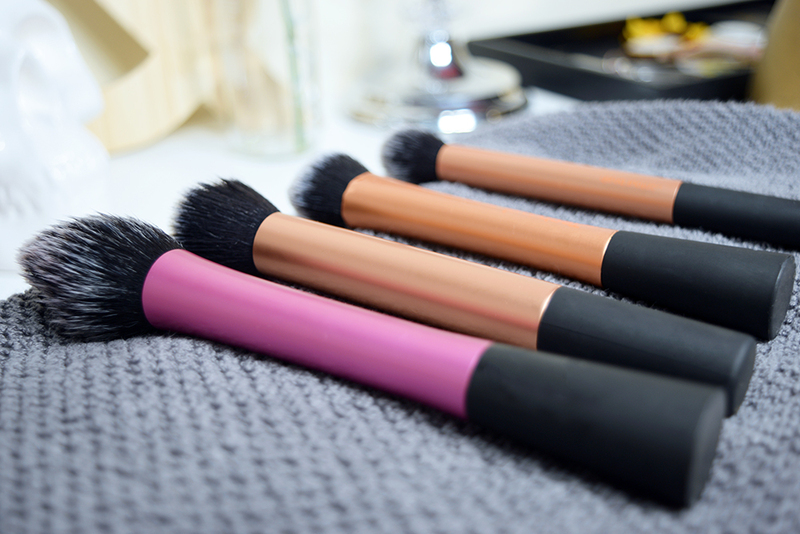 What's your favorite way to clean your brushes, and what products do you use? 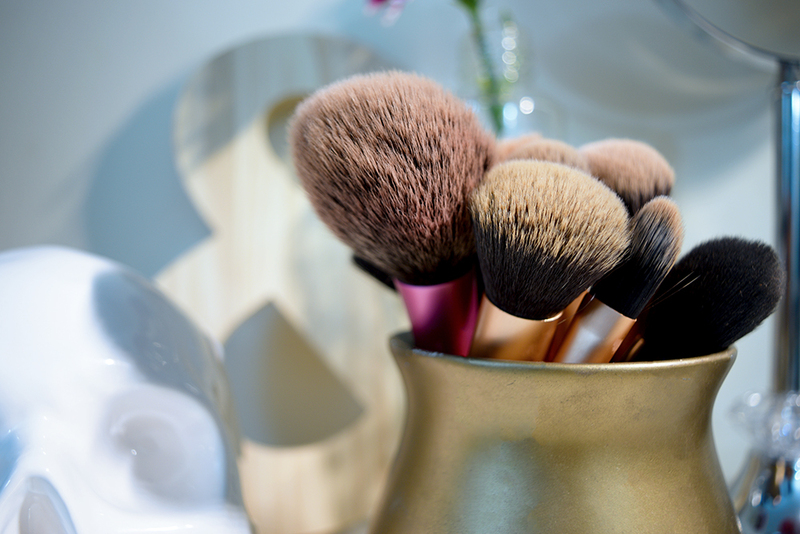 One last thing - how often do you actually wash your brushes?